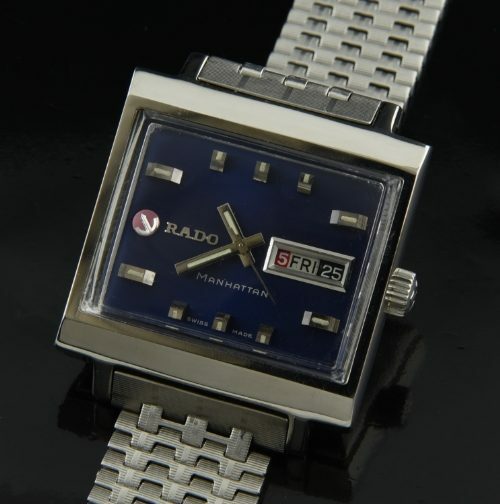 This is a very attractive and LARGE 60’s-70’s RADO MANHATTAN measuring 34x40x13.25mm. in stainless steel. The perfectly restored blue dial with chunky markers, baton hands and day/date display is absolutely pristine. The original RADO winding crown is present. 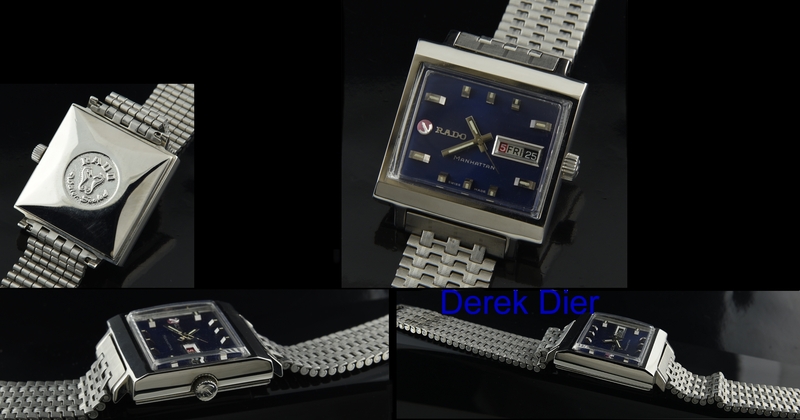 The automatic winding RADO movement was just cleaned and is VERY accurate. This is the original and expensive NSA bracelet is stainless steel and will fit a 7.5 inch wrist. In “real life” this watch looks fantastic!